Mowing is done with top of the line commercial equipment. Blades are sharpened on a regular basis to ensure a nice clean cut. The height of the cut will be raised when the summer heat hits to ensure optimal grass health. 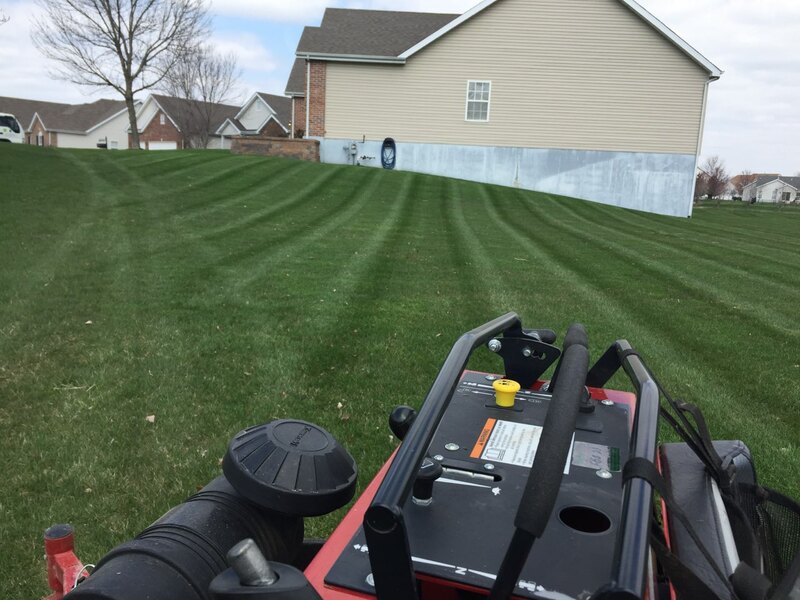 Trimming will be done along any building structures, fences, and any other landscaping features that border grass. Edging is done along curbing, sidewalks, driveways, and patios to give your lawn a sharp professional appearance. All hard surfaces will be free of grass clippings before we leave your property. 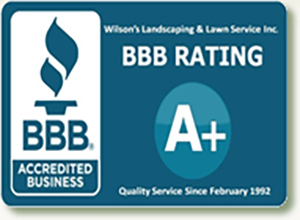 Contact us and get a free estimate today! Belleville, Collinsville, Edwardsville, Fairview Heights, Freeburg, Glen Carbon, Lebanon, Mascoutah, Maryville, Millstadt, O’Fallon, Scott AFB, Shiloh, Smithton, Swansea. Continuous Review of New and Environmentally Safe Products & Methods to Provide the Best Lawn Care Service Available! Core Aeration, Dethatching, Grub Control, Mole Control, Aeration & Seeding, Lime, Tree & Shrub Care.